I have another nylon duffle I use in case my suitcase won't fit the mementos I buy. 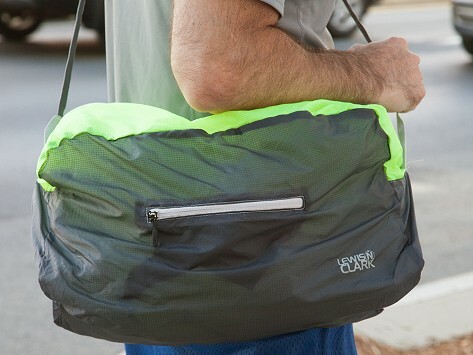 I find that one to be too big, and this Lewis & Clark duffle is a much better size. When you have an unstructured duffle, smaller really is better. It folds up to be fist sized, so is easily packed, even when I am trying to pack a week's worth of clothing in a carry-on. I will donate my old duffle, and use this from now on. I needed a small carry-on for an upcoming trip to Alaska. We are very limited in the size we can take and the ElectroLight Duffel fits the requirements. I especially like the fact that it can be folded into a very small size and is extremely light weight. Since I haven't used it yet, I can't comment on the durability. An amazing little bag; The best bag to travel with! I can easily unfold this bag and put in all the papers, books ,snacks and my computer to have easy access to what I want during an airplane flight. I will always use this amazing bag when I fly!! Just as described perfect for travel light compact. Love it - good quality. Want different sizes. Use mine as a purse. This has found a place attached to my purse. I almost always forget to take my shopping bags into the drug store. I pull this off of the purse and pop in my purchases, which then go home and are unpacked and the Lewis N Clark goes back to its berth on the purse. When stopping at the drive thru, I have used it to carry the food upstairs from the car. If something spills, I handwash the duffel, let it dry and it is back to the purse. Recently, it has been the tote for the things needed to be carried back and forth from the hospital. It has proven to be an excellent investment. It is so light and compact-able. 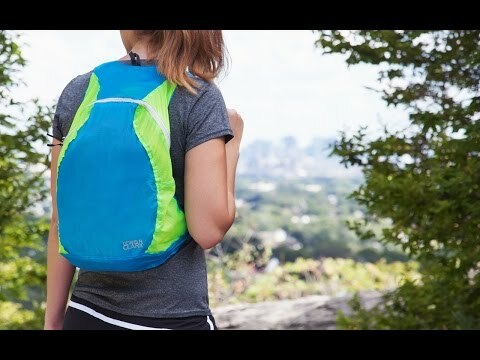 Perfect for the gym or day trips.